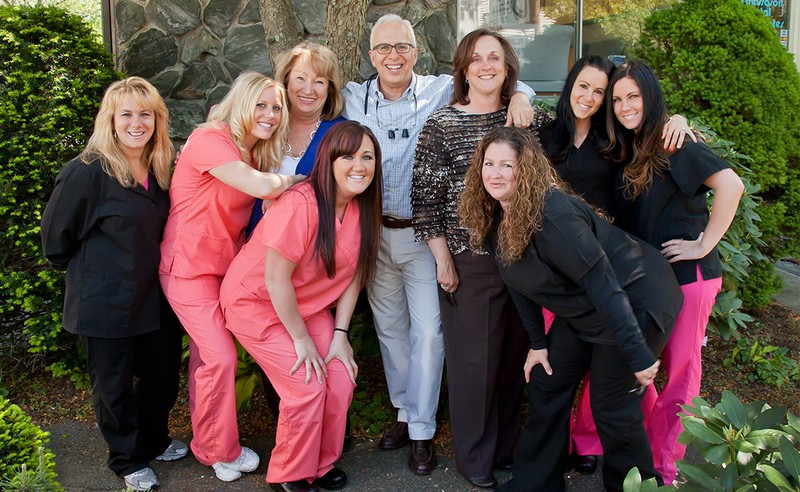 Massasoit Dental Associates is a progressive group practice using the latest dental technology that provides services in a relaxing environment. Our cosmetic dentistry service is enhanced by our imaging process, which allows you to see how you may look when your dental procedure is completed (See our Smile Gallery page). We offer the following cosmetic treatments: Teeth whitening (bleaching)- in office or take home, porcelain veneers, direct bonding veneers, crowns and bridges. Tooth colored (porcelain) fillings can, in some situations, be placed without drilling or anesthesia using our air abrasion system. Exams and Comprehensive Treatment Planning – Our team will create a dental treatment plan with you based on your individual needs. We recommend Dental checkups at least once every 6 months to ensures that any problems are caught in their early stages for the most effective treatment. Hygiene and Preventative Services – The key to combating potential dental conditions and diseases before they cause permanent damage. With cleanings every 6 months we can take precautionary measures in order to keep your smile healthy and beautiful! We are trained professionals using industry-approved methods. Our goal is to meet the needs of every patient, and every patient’s needs are different. One of the methods used by our practice is a gentle hydrogen-peroxide gel-activated solution. Call us today for a whitening evaluation. Please call our office if you have any further questions on veneers.